As U.S. and Canadian government policies toward marijuana grow more divergent amid Canada's push for legalization, their stock exchanges have seen a flurry of cross-listing activity from companies eager to snap up investment capital and carve out dominant positions in a growing global market. Marijuana producers that operate in U.S. states where pot is legal are prevented from public listings in their home country because the drug is prohibited at the federal level, so they turn their focus north for a legal avenue to raise public capital. More recently, several medical marijuana companies that operate solely in Canada, and are able to list in the United States because the drug is legal for medicinal use in their home jurisdictions, have listed or announced intentions to go public in the U.S. in order to tap a bigger pool of investors. Capital is king in the battle for market share in a global legal cannabis industry projected to hit spending of $57 billion US by 2027, according to research firm Arcview Market Research. And the growing number of cannabis entrepreneurs and investors on both sides of the border is likely to result in a ramp up of cross-border listing activity, said Cheryl Reicin, head of life sciences at law firm Torys in Toronto. "We are getting many inquiries from United States investors, including big institutions, about how to invest in cannabis in a way that they're comfortable with," she said. "And I think they're obviously more comfortable in a Canadian cannabis company where the activity is legal … than in a U.S. cannabis company, where at least for the foreseeable future, the activity will remain illegal at the federal level." Since last June, at least four U.S.-based pot firms have listed on the alternative Canadian Securities Exchange (CSE), where looser listing rules than the bigger Toronto Stock Exchange have seen it become home for many marijuana companies. Its chief executive Richard Carleton said he expects at least five more U.S.-based pot company listings in the coming months. Earlier this month, Los Angeles-based cannabis retailer MedMen announced it will use a reverse takeover to list on the CSE later this year. The so-called Starbucks of weed, which has sleek stores in California, Nevada and New York, MedMen has also entered into a joint venture with Canadian licensed producer Cronos Group and aims to serve Canadian customers later this year once recreational pot is legal. 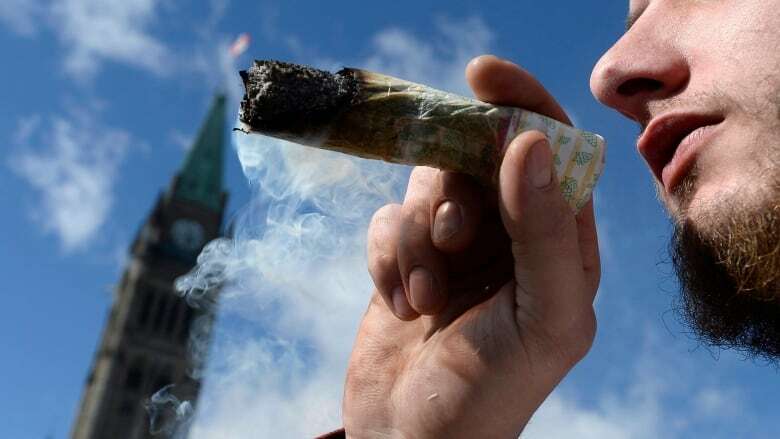 Meanwhile, Cronos in March became the first cannabis company to list on New York's Nasdaq exchange, with rivals Canopy Growth and Aurora Cannabis later saying publicly they are eyeing a Nasdaq listing as well. Cronos CEO Mike Gorenstein said while there are more stringent rules to follow on the Nasdaq, and it won't be able to get a physical foothold in the U.S. before it is federally legal, the strategy is still advantageous. "We're able to then get U.S. investors in while we're still in the early days, and have that support when we operationally enter the U.S.," he said in an interview. The flurry of activity comes as Washington's political tone seems to have softened toward the drug. That prompted TMX Group, Canada's biggest exchange operator, to warn issuers with ongoing cross-border activities that they are not in compliance with its requirements and could face delisting. The TMX Group's stance helped to cement the CSE's position as the go-to exchange for cannabis companies, allowing issuers to have U.S. exposure, provided they disclose to investors the inherent risks. The Trump administration has recently cooled its rhetoric on marijuana enforcement. Sen. Cory Gardner from Colorado, one of the first states to legalize the drug for recreational use said earlier this month he received a commitment from Trump that his administration's stance would not impact Colorado's legal marijuana industry, and that the president would support congressional efforts to protect states that have legalized the drug. This shift in tone is "tremendously positive for the U.S. cannabis sector," said Vahan Ajamian, an analyst with Beacon Securities. "While we will have to wait to see legislation actually pass, in our view, this turn of events could take the sector to a much more secure state than during the Cole Memo," he said in a recent note to clients. Other American politicians are also warming up to cannabis, with former Republican Speaker of the House John Boehner joining the advisory board of a marijuana company and New York Gov. Andrew Cuomo preparing to legalize the drug in his state. On Friday, Senate Minority Leader Chuck Schumer said he plans to introduce new legislation in the U.S. Senate to do so. These developments help de-risk the industry and "U.S. cannabis operators represent the next wave of outsized returns," Ajamian added. The increasing potential for legal cannabis in the U.S. has some Canadian pot companies jumping through hoops to meet exchange requirements north of the border while ensuring one foot in the market south of the border — to the benefit of Canada's alternative exchanges. Last Tuesday, pre-licence cannabis producer Maple Leaf Green World got final approval to migrate its listing from the TSX Venture exchange to the alternative NEO exchange. Maple Leaf chief executive Raymond Lai said it voluntarily delisted its shares and called the TMX Group's stance on cannabis "short sighted." "We feel that the U.S. market is so huge…. We are really frustrated with the TSX position on marijuana companies and business with the U.S.," he said. TMX group spokesperson Shane Quinn said the exchange operator is aware that legislation in the hot new sector "continues to evolve." "While we continue to monitor legal developments affecting this sector, marijuana remains a Schedule I drug under the U.S. federal Controlled Substances Act. From our perspective, United States federal law has jurisdiction over state law in this matter." Meanwhile, Jos Schmitt, the chief executive of Aequitas NEO, said he expects at least two more new cannabis-related listings on their upstart exchange. "When we have here in Canada the opportunity to cater to a business that is going to grow and that is going to be beneficial to our economy, well, we're going to be supporters and favourable to that, within the regulatory framework."